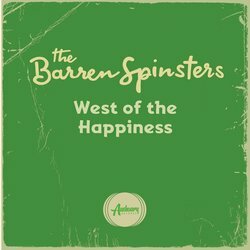 Armed with a high energy live show, songs from a forgotten century, and a terrible band name, The Barren Spinsters are the kind of band that Jack White would maybe join if he lowered his standards. They look like a two piece, sound like a five piece, and move like a hair piece. Frontman Brendon Houlahan plays guitar with his hands, bass with his feet, and sings with his face. Matt Tennant belts the drums really hard, sings a little bit, and wears really dumb shirts while doing it. Together,The Barren Spinsters deliver 70s blues rock with a modern thrashy twist. Much the same way that Wolfmother doesn’t.